Thank you, Fred, for reminding me of the differences between crows and ravens. When my sister, Connie, would visit us in wooded, suburban Bethesda, MD, she often remarked, “Your crows are as big as dogs here!” I suspect they were ravens. I always thought ravens lived at high altitudes. In the Smokies I would only see them when walking trails on the highest mountains. Becky, my experience is that ravens are not keen to be near people. I think in Europe that is different though. Fletch, we have some steep bluffs at the neck of Nameless Creek Gorge, and it is there I think that they roost and next. Buffalo Mt (almost 4k feet) in the county is a major raven rookery; they love to ride the currents between the clefts and not so many people venture to the top–even though it is a short easy hike. So, you and Audubon have made different observations. Why do you think he said they don’t show up in the same place? I just see crows here in LA, and ravens in the desert, but I also believe I have seen them both in the same place, but don’t recall where. I would guess habitat disruption since Audubon’s time has led to the ranges of each bird changing since then. We have many crows here in Victoria, in The Pacific North West. People are ambivalent about them—some value their intelligence and sense of humor, while others hate their intrusiveness. They are protected here, so we accept what comes! 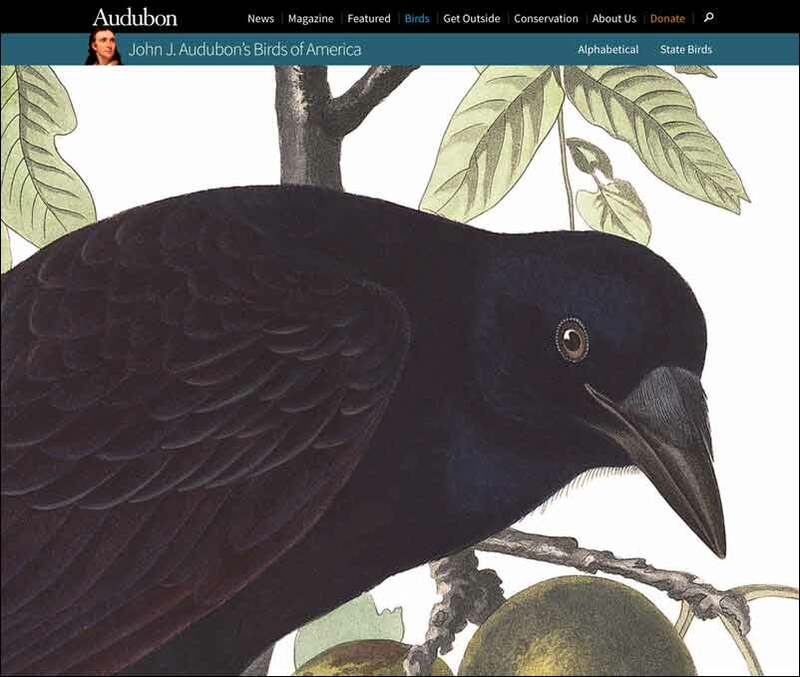 Thanks, Fred, for the link to the Audubon website! I can’t believe I’ve missed this up to now.